With a unique business model and a plan to shake up the real estate market, Little Real Estate burst onto the scene in 2009 and quickly became Australia’s largest independently-owned real estate company. Little Real Estate has risen the ranks by continually making good on its promise to connect with customers, delivering authentic service based on trust and transparency. Despite its market leadership, however, the Little Real Estate team found that traditional methods of reaching out to new and existing customers no longer delivered the kind of value characteristic of the brand. 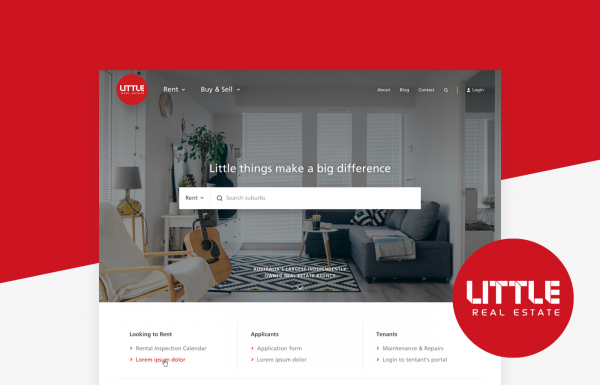 Little Real Estate prides itself on creating a consistent, captivating experience across all digital channels, but acknowledged the previous website fell short of this goal. In order to build a truly ground-breaking new product that satisfied Little Real Estate’s objectives, we facilitated workshops with the Little Real Estate team and engaged in extensive customer research. These activities helped us to develop empathy and trust with key stakeholders and learn precisely what kinds of information and functionalities delivered the most value versus those that took away from the overall experience. As a result, we delivered a website that is on-brand, fully responsive, intelligently structured, and extremely user-friendly. With search as a key feature, Little Real Estate could now provide its customer base lightning-fast access to property listings. In 2009, Little Real Estate joined an already saturated real estate market; and soon became the country’s largest independently-owned real estate company and a household name for property management and sales. 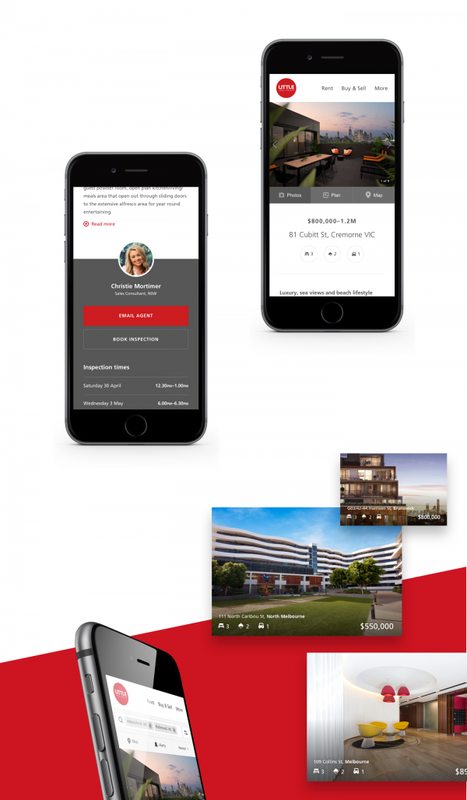 Acknowledging their previous website effectively hindered Little Real Estate from growth, they engaged Evolution 7 to design and develop a website that would set a new standard for real estate companies Australia-wide. 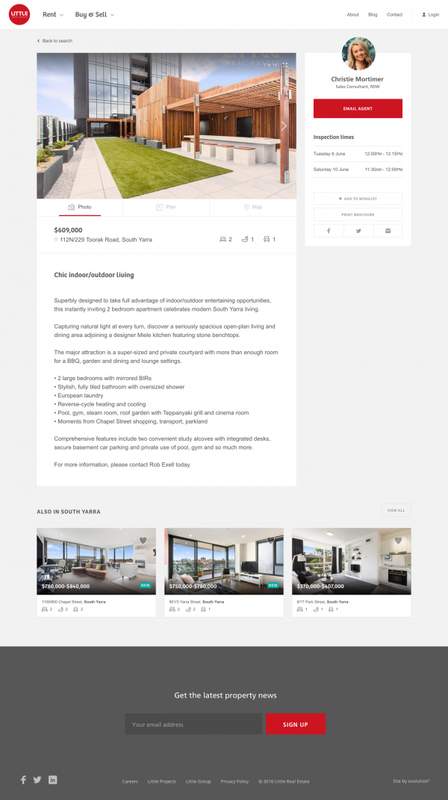 To build a groundbreaking new product that delivered on this objective and raised the real estate bar, we took a deep dive into Little Real Estate’s target audiences, developing detailed audience descriptions, personas, and customer journeys. We facilitated workshops with staff and engaged in extensive customer research to learn precisely which kinds of information and functionalities delivered the most value, and which took away from the overall experience. Not surprisingly, Little Real Estate’s key markets have vastly different requirements when it comes to buying, selling, and managing properties. Therefore, it was essential we brainstorm a creative solution that gave equal opportunity for users in each group to retrieve information of interest and relevance. We reviewed Little Real Estate’s marketing strategies and plans, and available customer and digital data, including an audit of the existing marketing channels. Following a series of workshops with different stakeholders, we refined the scope and decided on a roadmap further enhancements to roll out over a 6-12 month period following the launch. We took a deep dive into the target audiences, developing detailed audience descriptions, personas, and customer journeys. There were three primary target audiences: high-spending and prosperous suburban households, informed and educated families in desirable suburbs, and singles and couples in the early stages of their careers. Understandably, these audiences have vastly different requirements when it comes to property management, sales, buying, and renting; therefore, we needed a creative solution that gave avenues for a user across any of these groups to find information of greatest interest and relevance. We identified a significant opportunity to nurture existing clients along the real estate lifecycle. There is a sufficient level of self-direction in the market across all target audiences; the site needed to provide users the right tools to allow self-service and, in many cases, obtain desired information sooner and with greater ease. 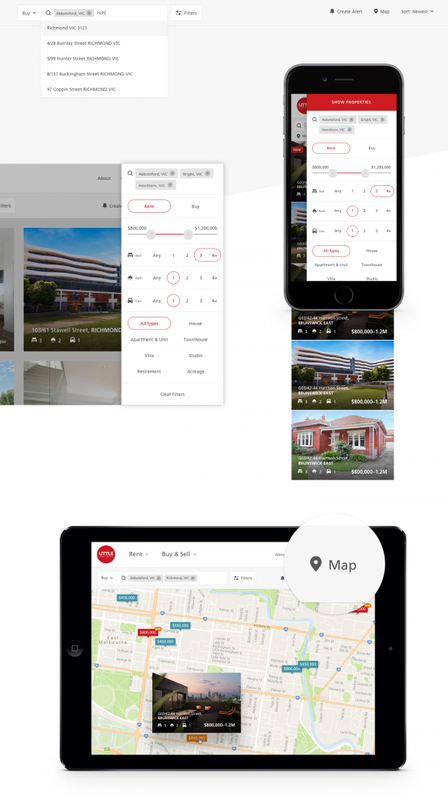 Little Real Estate uses third party tools to manage properties. An essential element of the site involved devising an ETL (Extract>Transform>Load) solution that would import property data from these external providers each day, feeding into the website platform where staff could access and amend as needed. We gleaned plenty of insights from users: for example, we learned mobile devices are a key part of the decision cycle, but that traditional hamburger menus are of limited effectiveness. Users want a seamless digital journey, favouring sleek digital forms over clunky PDF downloads. We developed a sitemap that categorised content into pathways aligned with common user goals. To ensure all content was easily accessible, we tested site navigation at wireframe stage with users. 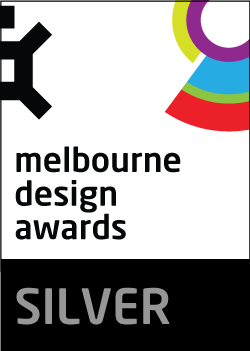 Each iteration brought us one step closer to a design that honoured the refreshed brand guidelines and elevated the on-site experience. With clear headings and a smart use of colour, the homepage surfaces content and actions on arrival. A prominent search bar allows property hunters to jump straight into the search experience while existing tenants can access digital forms and information with ease. Users spoke to us about several important real estate website features: creating property email alerts, curating wishlists, adding floor plans, and sharing listings, to name a few. Chief among these features was a simple-yet-sophisticated search function to quickly and accurately return properties in line with search criteria. We took the search experience one step further by implementing a ‘Search by Map’ function for those users who aren’t quite sure where they’d like to buy or rent. With this function, properties display in physical proximity to one another and to shops, public transport, and other key nearby amenities. To protect the site’s domain authority during migration and give the new website a boost, our strategy team tackled some major on-site SEO link redirections and optimisation. To boost site visibility, we developed a comprehensive digital marketing plan that promoted the site via AdWords, Google Display Network and Facebook. In the first three months post-launch, engagement metrics increased demonstrably: 41% increase in site visits, 20.9% increase in session duration, and a 16% reduction in bounce rate. We were thrilled at how well users responded to the refreshed website: not only did our work vastly improve user experience and lead to a tremendous boost in organic search, our efforts also protected Little Real Estate’s search engine position. A post-launch feature of the website is the ability for users to log in to the website with Social Sign-on (SSO), using a third-party authentication platform with proven and secure data management and storage. Served over SSL, the website follows standard privacy procedures for all contact forms and other areas of the website where user data is collected.